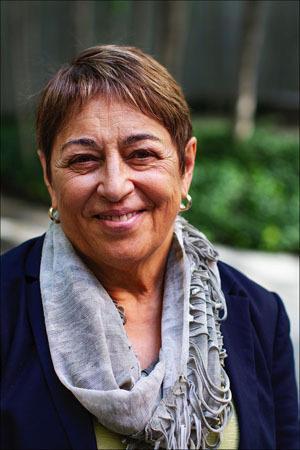 Toi Derricotte, who retired as a professor of English at the University of Pittsburgh, is well known for her books of poetry and the power behind her writing. Her books of poetry are The Undertaker’s Daughter (2011), Tender (1997), which won the 1998 Paterson Poetry Prize, Captivity (1989), Natural Birth (1983), and The Empress of the Death House (1978). Derricotte’s The Black Notebooks is a literary memoir that won the 1998 Anisfield-Wolf Book Award for Non-Fiction and was a New York Times Notable Book of the Year. Her honors include election to the Board of Chancellors of the Academy of American Poets and the 2012 PEN/Voelcker Award for Poetry, given to a poet whose distinguished and growing body of work to date represents a notable and accomplished presence in American literature. Derricotte also received the 2012 Paterson Award for Sustained Literary Achievement; the Lucille Medwick Memorial Award from the Poetry Society of America; two Pushcart Prizes; the Distinguished Pioneering of the Arts Award from the United Black Artists; the New York Graduate School of Arts and Science Alumni Achievement Award; the Barnes & Noble Writers for Writers Award from Poets & Writers Inc.; the Elizabeth Kray Award for service to the field of poetry from Poets House; and fellowships from the National Endowment for the Arts, the New Jersey State Council on the Arts, the Rockefeller Foundation, the Guggenheim Foundation, and the Maryland State Arts Council. In 1996, Dericotte and fellow poet Cornelius Eady co-founded the Cave Canem Foundation, North America’s premier “home for black poetry.” Derricotte’s previous appearances in the Hughlene Bostian Frank Visiting Writers Series were in 2012 and 2013, when she served as Appalachian State’s 2013-14 Rachel Rivers-Coffey Distinguished Professor of Creative Writing.